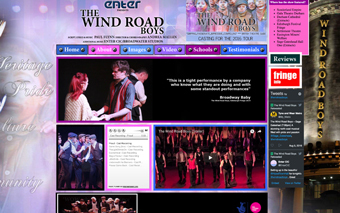 For the production of The Wind Road Boys at the Gala Theatre, Durham Enter CIC’s production team worked hard to produce a brand new musical masterpiece for the show. It was d ecided by writer of The Wind Road Boys Paul D Flynn that the show needed a new song. The new song allowed a character to rediscover the values of and traditions that had forged community life when he was a boy. The new song entitled ‘Underneath the Banners’ is a fantastic new addition to the 14 existing anthem style numbers in the musical. The new song had its premiere on Tuesday afternoon (11th June 2013). The response to the song was incredibly positive and it had a great emotional impact on audience members. 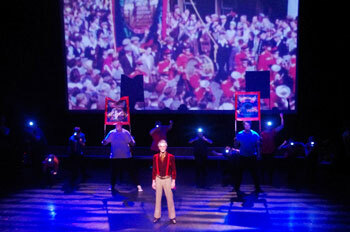 As the song played the audience could observe images from the 1951 Durham Gala playing on the big screen behind the performer. The whole audience was mesmerised by both the song and images. As the song came to an end the audience showed its appreciation by standing and applauding. The lyrics of this song are beautiful and really capture the heritage of the North East and our related industries. 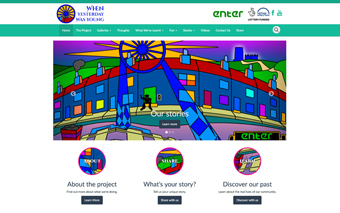 The video footage that accompanied the song was obtained from The North East Film Archive in Teesside and we were delighted to have found it. The feedback about the song and impact of the video have been incredible. Everyone we have spoken to from the County Durham area can relate in some way to the Durham Miners Gala. Have a listen to a short clip of the song below. To listen to a few more samples of music from The Wind Road Boys click here.